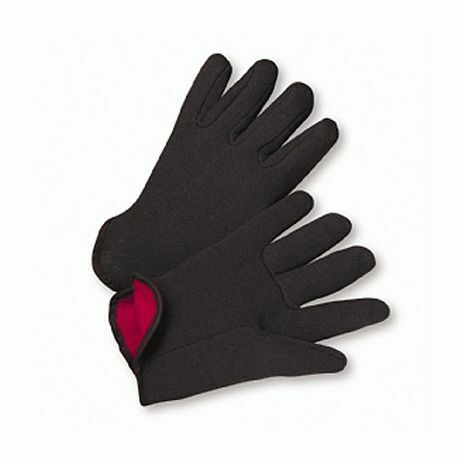 Hand Protection Products :: Cotton Gloves :: Lined Brown Jersey Gloves, Mens/Sold by the dozen. Home>Hand Protection Products>Cotton Gloves>Lined Brown Jersey Gloves, Mens/Sold by the dozen. Lined Brown Jersey Gloves - Mens Ideal for material handling, construction and shipping. 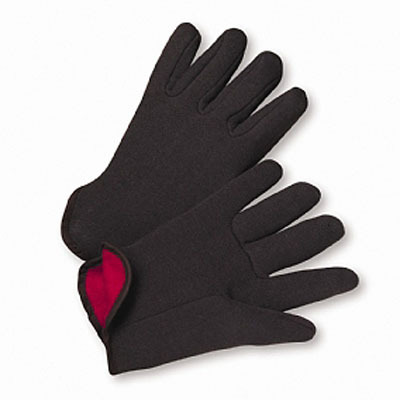 The 14 oz knit cotton fabric of these brown jersey gloves stretches, providing comfortable dexterity. The soft lining adds warmth, durability and extra protection. Sold per dozen . FEATURES AND BENEFITS: • 100% cotton red fleece lining provide added warmth • Slip on for easy on and off • Gunn cut APPLICATIONS Manufacturing, General Labor, Material Handling, Shipping/Receiving, Agriculture, Cleaning, Landscaping, and Construction.